Flat Football Repair Service - Non-Autographed | Sports Memorabilia! Yes, we repair flat footballs! Quality work with over 30 years experience. You may complete the order online before shipping the football, click on "add to cart" and and go to the shopping cart to checkout and complete the order form. Just put your name on the outside of the box and a note inside the box that you completed the order form online. Shipping is $14.95 for the first football and $4.00 for each additional ball. Insurance on return shipping is available. The fee is $1.50 per $100 of declared value-make a note on how much insurance you would like in the comment section and we will manually add the cost to your total. Click here Flat Football Repair for more information! 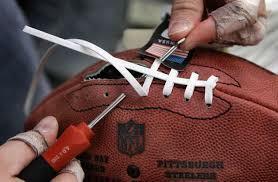 For AUTOGRAPHED FOOTBALL REPAIR, the cost is $35.00. Click here to order.